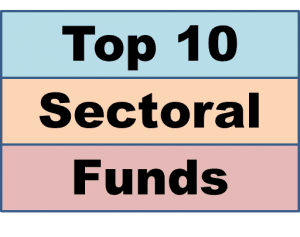 Find unbiased list of Top 10 Sectoral Funds in India. In this Article, We will discuss about Best Sectoral Funds available for Investment in 2019. And we will analyze in-depth performance of these list of Sectoral Funds. Sectoral Funds are generally kind of mutual funds that consist of investment in mainly one type of sector. These kind of funds are often less diversified and are more risky. In this article we will discuss about Top 10 Sectoral Funds in India with maximum returns and minimum risk. With the minimum investment of Rs. 5000, L&T Infrastructure fund was launched on Jan 01, 2013. This is the open-ended fund with the growth as the investment plan. The asset size of this fund is Rs. 335.15 Cr. and date is Sep 30, 2018. S. N. Lahiri is the fund manager of the fund. This open-ended fund was launched on Jan 01, 2013. The investment plan of growth is run under the benchmark of Nifty Infra. You only need Rs. 5000 for this investment. Well, the asset size is Rs. 169. 19 and date are Sep 30, 2018. Rajendra Mishra is the fund manager of IDFC. Here have a look at the return rate of this fund with thre With the minimum investment of Rs. 5000, L&T Infrastructure fund was launched on Jan 01, 2013. This is the open-ended fund with the growth as the investment plan. The asset size of this fund is Rs. 335.15 Cr. and date is Sep 30, 2018. S. N. Lahiri is the fund manager of the fund.e important periods. The main aim of this fund is to give income distribution by investing in long-term capital as it is an open-ended fund with the investment plan of growth. The fund was launched on March 10, 2006, under the benchmark of Nifty 50. The asset size of this fund is Rs. 2. 96 Cr and date is Sep 30, 2018. Well, the minimum investment of this fund is Rs. 1000. Here have a look at the return rate of this fund with three important periods. NIFTY 500 is the benchmark of Franklin Build India Fund since its lunch on Jan 01, 2013. It is an open-ended firm with an investment plan of growth. With minimum investment Rs. 5000 under the asset size of Rs. 232.75, this fund is highly chosen by the investors. Here have a look at the return rate of this fund with three important periods. NIFTY INFRA is the benchmark of Reliance Power & Infra Direct-G since its lunch on Feb 01, 2013. It is an open-ended firm with an investment plan of growth. To seek long-term capital appreciation by investing in equity instruments of the groups that is involved in the power and infrastructure space in the country. With minimum investment Rs. 5000 under the asset size of Rs. 68. 31, this fund is highly chosen by the investors. Here have a look at the return rate of this fund with three important periods. Harish Krishnan is the founder of Kotak Infrastructure who started this fund on Jan 31, 2008, under the benchmark of S&P BSE 100. With minimum investment plan of Rs.5000, you can get an investment plan of growth. The asset size of this open-ended fund is Rs. 400. 76 Cr and asset date is 30 Sep. 2018. Here have a look at the return rate of this fund with three important periods. It seeks to create capital appreciation in an open-ended fund type. With a minimum investment of Rs. 500 you can get an investment plan of growth. This fund was launched on Jan 1, 2013, under the benchmark of S&P BSE 100. The asset size is Rs. 149. 89 and date are Sep 30, 2018. Here have a look at the return rate of this fund with three important periods. It will give investors an opportunity for long-term growth. The fund was started on Feb 01, 2013 under the benchmark of Nifty Infra. This is also an open-ended fund type with an investment plan of growth. The asset size is Rs. 23. 76 Cr. and date is Sep 30, 2018. Richard Dsouza is the fund manager of this fund. The minimum investment of SBI is Rs. 5000. Here have a look at the return rate of this fund with three important periods. This is the open-ended fund which works on the investment plan of growth. Launched on Jan 01, 2013 under the benchmark of Nifty Infra, this fund’s asset size is Rs. 92. 48 Cr. and date is Sep 30, 2018. 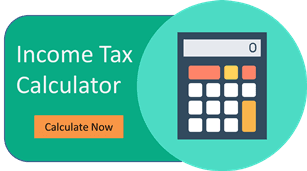 You only need minimum investment of Rs. 5000 to start. There is no guarantee that the investment objective of this can be achieved. Here have a look at the return rate of this fund with three important periods. These are the top sectoral funds which investor considers the most.